Well, it's been quite a long time since I've posted one of these up hasn't it! If you have no idea what this post is about to be about, check out number one and number two. 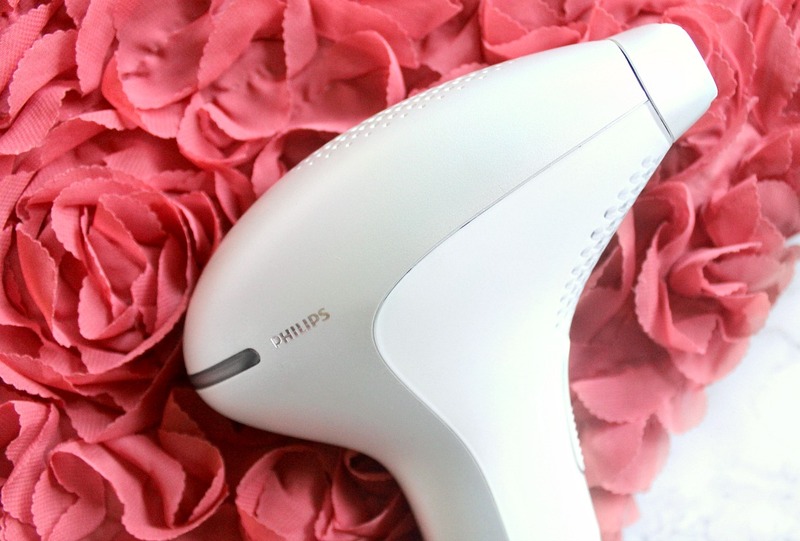 It's focusing on the Philips Lumea which is an IPL device, designed to slow down hair growth. I won't go too much into the details of what it is, but if you're curious check out the links above. Last time I wrote one of these was post 3 treatments and I really did have the intention to type up another update after 6 treatments and let you know how it was going. However as each treatment took a good fortnight in-between, it was almost inevitable that I would become too busy to keep it up throughout the busiest months of my degree! I so wish I had forced myself to take out the time, but unfortunately when one is THAT stressed out, zapping an IPL machine for a good 1.5-2 hours is not a priority. I did then restart but I had about a months break. The good thing about the break was I could see how much it had really worked and that's what I'm going to be talking about here. After 4-5 sessions, how much hair stopped growing? The biggest thing I noticed in terms of results was that hair really has SLOWED DOWN in growth and that is true for all area I have been treating. Bald patches, where hair has stopped growing altogether have been more of a mixed bag and this is due to the intensity of 'zapping' I choose to do. If you read my first post you'd understand what I mean, that you can choose how strong you want the zap to be, but it is based on your skin-tone. It's not necessarily about how high of a pain tollerance you have (although yes level 5 is the hottest ping about the skin and can feel a little uncomfortable for sure. Though it is worth the faster results if you are in the safe zone depending on your skintone). Under-arms: This is the area I have noticed the most impressive results in terms of hair regrowth time which is AMAZING! Hair grows back thinner and much much slower, meaning upkeep of hair removal is much quicker. However in terms of bald patches, only 15% of the area is hair-free so far. Still I'm more than happy with the treatment of my underarms so far because it was just one of those annoying areas that I wished I could ignore like leg hair y'know? B-L: Y'all know what I mean, we're all sisters here haha although it does make me cringe writing the full thing out on my blog, so B-L shall have to do. Anyways again I'm really happy with the speed of hair regrowth after 4-5 fortnightly sessions. MUCH MUCH MUCH slower and a lot less thicker. Probably about 20% of the hair has been removed for good and again I'm really pleased with these results. Thighs: This area much like the one above is more sensitive, so I do have to hold my breath a little and try to get it over and done with. Hair has been slower to regrow but its been one of the worst areas for ingrown hairs which is no fun. I'd say approximately 25% of my hair on this area has stopped growing back. I wish it was more but I can definitely blame the fact that I use a lower setting because of the size of the area - in my last treatment I did grit my teeth and step it up to a level 5 though, so hopefully this'll show results! Shins: One of the most noticeable areas in terms of results, hair regrowth is very patchy and slow, with about 40% of the hair not growing back! The downside though is that my shins are the WORST area when it comes to sensitivity with shaving and I literally have scars on my legs from when I've scratched them because they've become that dry and itchy. I definitely need to use Aloe Vera gel for more than a day after shaving to try and combat that, because I almost don't notice how much I'm scratching my legs up, until half an hour later when they start stinging really badly. Thats a major downside about this whole process for me, as the pain is almost not worth the 40%...almost! Arms: Finally the area where I have seen the biggest improvement in terms of bald patches and lack of hair regrowth altogether, the arms! This is definitely because my arms are the least sensitive area to hair remove from and I have always used intensity 5, hence the best results. Hair regrowth is very patchy and thin and barely noticeable. Facial Hair: This is a bit of a funny one, because there is not really any patchiness in my upper lip hair. However the hair is thinner and less noticeable, so now I can go three weeks without touching my upper lip and you can hardly tell. What also makes me really happy is that the horrible green tinge that asian girls can sometimes get when the upper lip hair has grown quite a bit is hardly noticeable now! In terms of side burns, slight patchiness noticed and again hair has slowed down. - Start with the sensitive areas first (face, b-l, thighs) because the longer you use this, the hotter the Lumea becomes. - If you have sensitive skin like mine, which hates shaving make sure you're exfoliating before AND after and apply Aloe Vera gel to the legs after they're dry. - Ingrown hairs can be treated easily with the stuff I reviewed in my second update (here), love and heavily rely on this because ingrowns are the worst. - Like I said in my last post, if you're treating a lot of your body hair like I am, it is easier to split up areas between two days. However if you don't have time to do this and just want to spend sunday evening zapping away, make yourself a youtube playlist of videos you want to catchup on or put something on netflix, because it can take quite a while to get through larger areas like the legs! 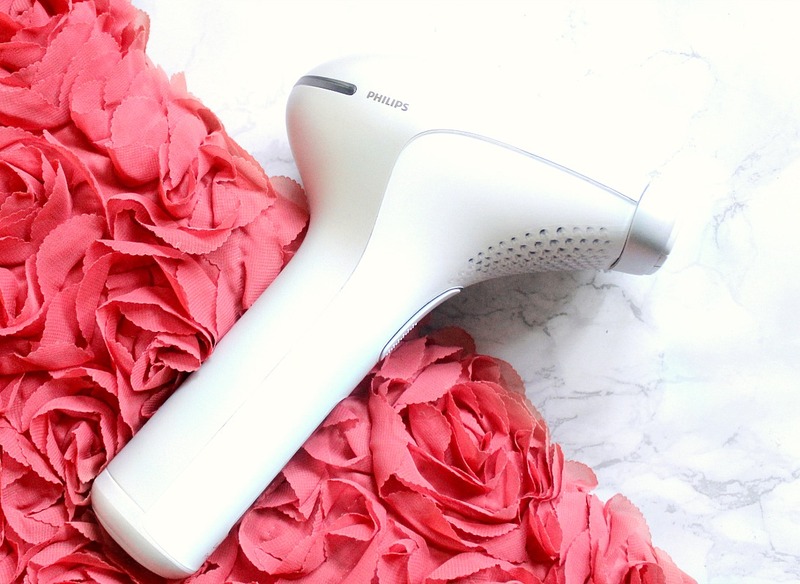 I plan on using the lumea fortnightly for another 4-6 times (I've already used it twice and kept up with the dates). The reason I'm doing this is because last time I was unable to finish recommended treatment time and I want to see if this'll really weaken the hair more than the results I have seen already. I am overall really happy with this purchase, it does what it says on the box and slows down hair regrowth. So if you buy it with this in mind and don't expect hair to stop growing back completely then I think you'll really like it. If you have very very thick body hair and you're sick of spending so much time removing it, this will cut your hair removal time in half and there will be patches where hair doesn't grow back full stop! Right now it is available for £250 here and I think thats a bargain of a price compared to the original £400. Would I repurchase? Yes, because it has made life that little bit easier and in all honestly there is not one method that truly removes hair permanently - even salon laser hair removal which costs hundreds per treatment, requires touch up treatments for it to last. So using a device from the comfort of my own home, that's slowed it down is awesome! Plus after the initial fortnightly treatments, you only need to use it once a month which is much more manageable. I hope this post was helpful to those of you who have been requesting an update, let me know if you have any questions!